If you want weight loss support, chose the "Wheytloss Wonder" whey concentrate over the allegedly "healthy plant proteins" in soy isolates - if your physiology works anyway similar to the one of the study subjects you won't regret it - promise! We all know that whey is wonderful, don't we? And we all know that soy is the devil, right? Ok, I guess both assumptions are not exactly accurate, but when you're having your next discussion with that overweight lady "gone vegan", because it's so good for your waist line, you may point her to a soon-to-be-published study by Atefeh Tahavorgar, Mohammadreza Vafa, Farzad Shidfar, Mahmoodreza Gohari, Iraj Heydari, a group of scientists from the Teheran University of Medical Sciences (Tahavorgar. 2014). 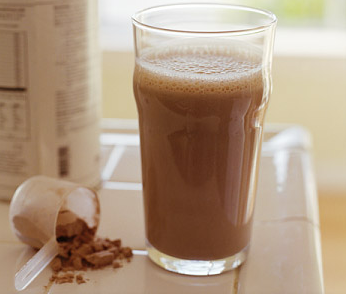 Based on the existing evidence of the weight loss benefits of high(er) protein diets, the Iranian scientists hypothesized that supplemental preloads of whey protein concentrate (WPI) and soy protein isolate (SPI) would decrease appetite, caloric intake, anthropometry, and alter the body composition of healthy overweight and obese men in free living conditions. Ladies, Beware! Dieting Makes Gymnasts Fat. To test this hypothesis, we supplemented free living overweight and obese men with WPC and SPI 30 min before their ad libitum afternoon meals, and monitored each subject’s appetite, calorie intake, anthropometry, and body composition. Using a monthly bulletin to advertise, volunteer employees of a power plant in Karaj city were recruited to participate in the study. Inclusion criteria included: no cigarette smoking and/or alcohol consumption, no medication and/or supplement usage, no high amounts of caffeine consumption (>250-300 mg/d), no history of diseases or clinical problems that increase oxidative stress (injuries or burns), no allergy to soy/cow's milk, and no severe weight changes within the last three months. Exclusion criteria included any changes in physical activities (PA), diets, and a compliance of 70% or lower for consumption of treatment beverages. This is a randomized, controlled trial, no epidemiological "healthy plant protein guesswork"
At the first visit, eligible participants were randomly assigned to either the WPC or SPI (26 in each) group, using a convenience allocation. Individuals were instructed to deliver empty sachets in exchange for full ones at visits 2 through 12, in order to calculate compliance. All participants had ad libitum access to calories and were asked to maintain their usual dietary intake and physical activity. After packing 4368 similar sachets, they were numbered 1- 84. The numbers were randomly divided into groups A and B (SPI and WPC, respectively) and kept by the executive director of research until study commencement. One of the strenghts of the study is the fact that dietary intake and physical activity were closely monitored. If the subjects didn't lie about their food intake and activity levels the results of the study at hand are thus highly accurate. Unfortunately, the same cannot be said of the relatively unreliable body fat measurements that were conducted with a body fat monitor by Jawon Medical. The consumption of the protein shakes (65 gr WPC or 60 gr SPI that was dissolved in 500 ml water) 30 min before the ad libitum dinner (late afternoon) lead to significant increases of the total protein intake in both groups, with a slightly higher total protein intake of 33.5% of the total energy intake (vs. 28.7%) in the whey vs. soy group. No wonder that the mean changes in appetite (p=0.032), CI (p=0.045), anthropometry (body weight (BW) (p=0.008), body mass index (BMI) (p=0.006), and waist circumference (WC), body composition (body fat mass (BFM) and lean muscle (LM) were significant in both groups. If you look at the overall outcomes in Figure 1, it is yet obvious that the appetite reduction and loss of body weight were significantly more pronounced in the whey protein group. More importantly, however, these changes occurred as a consequence of similar absolute, albeit slightly higher relative reductions in energy intake (there is a problem with the data, here, because the pre- vs. post valued differ from the calculated mean difference, if we use the latter, the soy group would have had a greater reduction in energy intake, i.e. 1186kcal vs. 624kcal - that would make the results even more impressive, but somewhat questionable) and trigger significantly more pronounced improvements in body composition than the soy protein isolate, namely increases in lean mass (+18%) and significant reductions in body fat (-9.2%) and waist circumference (-9.7 cm on average vs. +1.1 cm in the soy group) - not too bad, considering there was no "dieting" or training involved. Please remember: The weight loss and increases in lean mass occured in the absence of a deliberate energy restriction (all subjects still ate "ad libitum", i.e. as much as they wanted) and without the need to train. It was "just" the addition of high quality protein in form of the ~60g of whey protein concentrate (again there is no reason to buy isolates, unless you are lactose intolerant) that did the trick! Bottom line: The study at hand is only one out of many experimental trials which refute the notion that plant proteins are healthier and eating plant instead of protein from animal sources would help you lose weight and improve your body composition. The latter is a myth that's based on questionable epidemiological data, where confounding factors such as the "pizza salami = meat" factor (i.e. the way the meat intake is estimate) are hard to control. Since I hope that we all put more faith in hard experimental vs. "soft" epidemiological data, it should be obvious that anyone (including your vegan friends) who is planning to lose body fat and improve his / her body composition is much better off with whey vs. soy protein; and that not just as a replacement for a complete meal, but rather as an addition that increases the total protein content of the diet and reduces the food and energy intake on ad-libitum meals, when the shake is consumed 30 minutes before a meal | Comment on Facebook! Tahavorgar, Atefeh, et al. "Whey protein preloads are more beneficial than soy protein preloads in regulating appetite, calorie intake, anthropometry, and body composition of overweight and obese men." Nutrition Research (2014).